Copyright © 2016 Robert Ellison. All rights reserved. 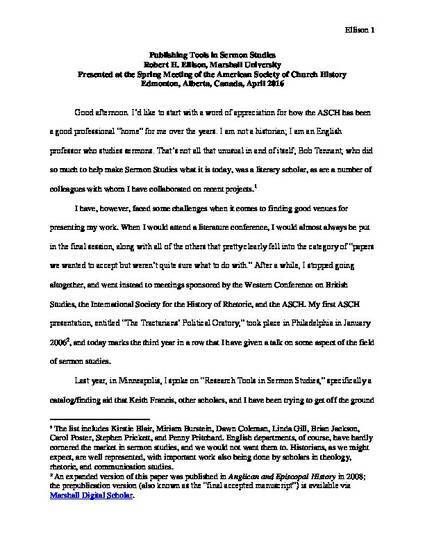 Ellison, Robert H. "Publication Tools in Sermon Studies." American Society of Church History. Edmonton, Alberta, Canada. 9 April 2016. Keynote Address.